Hall of Famer boxer Pernell Whitaker was known as “Sweet Pea” during his boxing career and amassed a professional record of 40-4-1 (17KOs). Whitaker was a former Olympic gold medalist and was a world champion in 4 weight classes, having won belts at lightweight, light welterweight, welterweight & light middleweight. 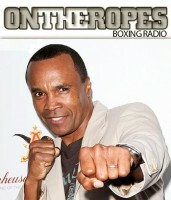 He also fought all-time great fighters like Julio Caesar Chavez, Oscar De La Hoya, and Felix Trinidad. 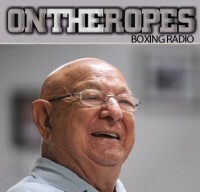 In part 1 of this “On The Ropes” classics interview, Pernell talks about his boxing career and gives some insight into what made him the fighter he was. Whitaker speaks on his fighting style and shares his views on what were some of his toughest fights. Pernell also talks about his fights with Julio Caesar Chavez and Oscar De La Hoya, and some of the controversies he had in his career. Here is what Pernell Whitaker had to say. Jenna J: Pernell, let’s talk about your nickname, “Sweet Pea”. How did you come to use that during your boxing career? Pernell Whitaker: That’s the name they gave me when I was about 9 years old. I was just in the boxing ring and I had on my boxing shoes “Sweet Pete” and they misquoted it and as “Sweet Pea” and I couldn’t get it changed out of the papers so I just went with it and ever since then it stuck and it stayed with me and I guess it just grew on me, but it started when I was 9 years old. Jenna J: Who were some of your favorite fighters when you were coming up in the sport? Pernell Whitaker: I had no favorite fighters. I had none, none whatsoever. Everybody liked Muhammad Ali. So he’s the greatest of all time but me personally, I have no particular one fighter that sticks out. I have my own style. Everything that I had done in that boxing ring was original. It was all mine. 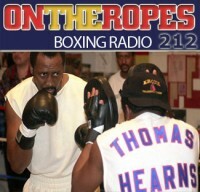 Everything I had done in that ring was original and done by Pernell Whitaker. It was done by Pernell Whitaker. It was designed by Pernell Whitaker only. I copied nobody’s style. I had my own. People want this style but they can’t have it. Jenna J: Let’s talk about your boxing style. In some fights you were flashy with your offense and defense, others you were technical. How would you describe your performances? Pernell Whitaker: I knew every time I stepped out there into that ring I gave 100% and every performance I put on showed something different and whatever it was, you guys used to call me a showboat and now you’re calling me the best pound-for-pound. So I have no clue how to satisfy you guys. I’m glad I did compete and competed very, very well. Like I said, the thing that you guys used to see when you called me a showboat, now guys do it and you think it’s the most positive thing on the planet. I will just say this. I had a great time in the boxing ring. Jenna J: What performance would you say really defined you as a fighter? 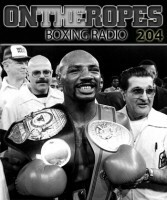 Pernell Whitaker: All of them! Every single fight I’ve ever laced up a pair of gloves in thirty years was special to me. I have no one fight I can pick out and go down the catalog and pick which one of these guys fought the best. Every fight was important. Every fight was a great fight for me, even if it had controversy itself and it looked good itself. Every fight that jumped out at me was a good fight, was a great fight for me. I don’t know about the opponents but it was great for me. Jenna J: You had a lot of controversial fights, how did you feel about being on the wrong side of most of them? Pernell Whitaker: Every fight that I ever had that had anything to do with controversy was controversial. It wasn’t just a couple, but a fight’s a fight. I don’t complain about them. I don’t look back at them. Jenna J: You fought the legendary Julio Cesar Chavez at his peak. What were your thoughts of him as a fighter? Pernell Whitaker: Chavez was a great fighter. He was a great, great fighter. When I competed against him it was big. That was one of the good fights of mine, that along with the other fifty. Jenna J: Who do you think gave you the toughest match in your career? 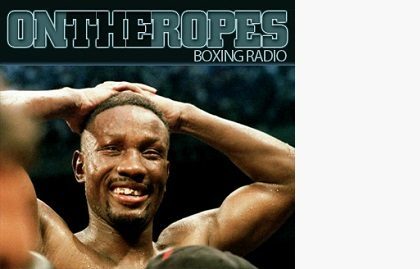 Pernell Whitaker: The toughest match? Every fight I have ever been in was tough. Fights are no tougher than what you make them. I try and make fights as easy as possible. I show guys how to make these fights as easy as possible. If you want to fight a tough fight then it’s easy to fight a tough fight, but if you just want to make the fight as easy as possible then there is a way to do that. So I don’t think I ever put myself in a position where I was in a tough fight. All of my fights, actually, I thought were very easy and won them. Jenna J: One of your best performances was against Oscar De La Hoya. What were your thoughts on that fight and the judges scoring? Pernell Whitaker: I was having so much fun in that boxing ring that night. Oscar is a good friend of mine and it’s not personal or anything. It’s never personal. I just thought I had done enough to win the fight. I had done a lot more to win than to let it get away from me. That’s fine. Like I said it wasn’t the first time I had been in a fight that was controversial like that. So I don’t look back at it. I don’t regret anything I’ve done. People just see it differently. Another thing is guys just wanted to see me lose one time. In my time nobody ever actually outboxed me or beat me so they were just waiting to see somebody get it done. The only person I think that got it done on me where it was just close enough to get away from me was Trinidad. So that’s the closest fight I ever had that I think was close enough to get away from me. The rest of them I think I won. 10 Responses to "Pernell Whitaker: “Fights are no tougher than what you make them. 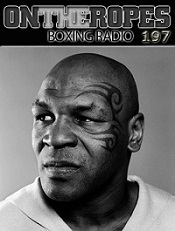 All of my fights, I thought were very easy and won them!”"
Sweet Pea was one of the greatest. He was original and no one since him has been able to do what he could do in the ring. The man could stand in front of you, drop his hands, and still never get hit. At his peak there was no one better in the sport. He should have won against Chavez, but I thought he lost to Oscar. Actually he Won titles in 4 having beaten Argentinian Julio Cesar Vasquez for the WBA Jr Middleweight Crown. Even more impressive. Slipped in that fight while being the reigning welterweight champion. INCREDIBLE FIGHTER TECHNICAL GENIUS DEFENSIVE WIZARD WOULD LOVE TO HAVE SEEN HIM AGAINST MAYWEATHER AND CRAWFORD. GOT ROBBED AGAINST CHAVEZ WHITAKER HUMILIATED ONE OF THE GREATEST FIGHTERS OF ALL TIME IN ONE OF THE WORST ROBBERIES OF ALL TIME. great fighter. terrible guest. didn’t actually answer any question definitively. He did answer the Nickname one pretty clearly. But it seems he basically was saying no fight made him prouder, no fight was tougher no one fight defined him, he valued every win the same. Winning is winning. Guy even showboats in the interview. He did it in his career and still does it now. I’m sure he had some people he looked up to and took a little something from, but he likes to own 100% every part of his style. He was a special fighter and did some special things. I’d love to see him deal with Floyd Mayweather style for style. HE TOY’D WITH DLH AND GOT ROBBED. AFTER THAT FIGHT HE STARTED TO SLIPPED AND RETIRED. BUT EVEN IN A STATE OF DECLINE HE STILL OWNED DLH. ONE OF THE BEST POUND4POUND GUYS EVER!